Developing an effective risk management process for critical drone operations must be extremely challenging, given that we have very little empirical, historical data. So how do you start developing this process and where are we in having something which will provide an effective regulatory framework for the industry to develop? The process that is culminating in the Joint Authorities for Rulemaking on Unmanned Systems (JARUS) Specific Operations Risk Assessment (SORA) started out three to four years ago in several places at the same time, including Switzerland. The problem was that we were faced with applications of many different types – different people, different machines, different concepts of operations – and we realised that the traditional ways of tackling these issues didn’t work. It became a matter of necessity – we had to come up with something that could work to assess all these different operations. So we started with a small group of people, within JARUS and outside, and began asking ourselves how we each approached the problem, by country and by application, and from this we developed a common framework. This exercise began to gain traction. More and more people saw the benefits of it and joined the teams in JARUS, so we now we have teams of fifty to sixty people and everybody’s endorsing the product. How do you manage so many different views from so many different people? That’s really fun. Our team is a rather special and we try to stay out of politics and concentrate on the technical work. All the team members are friends – so we can shout at each other during the day but can even out any disagreements later on in the evening. So it’s a very open team. The work is very challenging but exciting. When might we see the first draft risk assessments for UTM being published? The document is currently out in public consultation and the consultation will be over on the 22 August. After that, it’s a matter of how many comments we receive and how fast we can resolve them within the team. So initial hopes were for the end of the year; but if we get thousands of comments then this could slip to the first quarter of 2019. That’s pretty much the goal. So what are we going to see in Q1 2019? You will have the main body of the document and a series of annexes – annex A, B, C, D, F,G and mostly likely J – with all the accompanying body of knowledge that people will need to develop a SORA. These annexes deal with air risk, ground risk, the role of air navigation service providers (ANSPs) in performing an assessment of how the risk process can be created. We’re trying to push them out altogether with the main body of the document so that whoever is using the document has a quite solid reference to go along with it. Will that encompass all drone operations, including beyond visual line of sight (BVLOS) and urban air transport? Yes. The document is pretty agnostic to operational types. We have set some upper limits beyond which we don’t want to go, such as operations with very large machines over crowds. Apart from that, the document is suitable for pretty much every type of operation. What’s been the most challenging part of the overall process? I think it’s mainly the fact that we are breaking new ground. This is not a common way of doing things, especially in aviation. The main opposition has come from those who are still sceptical about the possibility of doing things in different ways. But our strength is that this document is not something that we have been thinking about theoretically and separately; it is the sum of the collective knowledge of all the people in the room, people who have been involved in operations for the past 20 years. What effect will this work have? Do you seeing it being a catalyst for the development of drone operations throughout Europe? I think this document gives drone operators an opportunity they would not have otherwise. 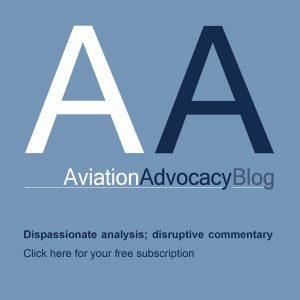 The document should allow operators within the specific category a middle ground, to allow them to access airspace without the rigidity of a formal certification process. The way I’ve seen it applied in Switzerland – because we have developed a risk assessment process of specific operations here for some time – should mean it will allow companies to grow. I’ve seen a lot of commercial operations start in the open category, maybe testing operations in visual line of sight or over an area with very low air and ground risk, and then build up products with more and more complex operations and then seek operations that are outside the open category without any gap. The SORA allows this transition. I encourage commercial operators and manufacturers to use this opportunity to grow and eventually launch certified category operations where they will be able to scale up and evolve their businesses. How are things are progressing in Switzerland – are commercial drone flights in operation yet? We have a few operators that have gone through this process. They started years ago with simple operations in the open category, maybe flying over a city thanks to the SORA, and then having developed a full-scale risk assessment evolved their business further. We have started allowing commercial BVLOS operations to fly in Switzerland. However the biggest obstacle to scale is the absence of a proper U-space system. A lot of the procedures, a lot of the way that we mitigate risks and access airspace relies on having to make phone calls informing people of weather conditions and other operational issues. That’s why there is a lot of momentum being put into the U-space so operators then can scale up their operations. How far are you away from a fully working UTM system in Switzerland? That’s a tough one to call. U-space is a series of services – so I can see some of these being operational next year while others will probably need more time. We’re also exploring the legal aspects of aligning our U-space system with that of Europe, because although we can create our own rules in Switzerland we also need to be aware that we have a European Union with U-space rules and so we’re trying not to get too far ahead of the game and then maybe be punished later with regulations that do not meet what we’re trying to do. So I would say that for sure next year we will see a series of services becoming live. And after that my intention is to push to have more and more services, those that are really needed. Many European countries are also looking at an aggressive timetable for developing U-space but EASA is warning that we will have to be careful in our approach. Do you think we have the technologies available now and that we can progress quickly to BVLOS operations? We have a chicken and egg situation where on the one hand people want to see the technology before making the regulations while on the other hand you don’t want to develop the full system without knowing what the regulation will be. But if nobody makes the first step then we are basically going to stall and we can’t afford to stall. This is really a political problem. The constituents need to have a system which will guarantee their privacy and security. But companies want a system that will allow them to scale up their operations. For us, waiting is not an option. Our ministry is very clear on that – we have to go forward. We see that the technology is there. Whether it’s fully mature, I’m not so sure, but it exists. To mature the technology developers need to have a clear regulatory framework. We need to know what we need to develop. We could develop our own system in Switzerland – and I’m sure the UK and Poland are thinking of doing the same thing – but we don’t want to advance too far and then be punished later because we’ve taken a risk we shouldn’t have taken. So the challenge on my side is to develop UTM services as soon as possible and activate a European-wide regulatory framework based on clear technologies. Of course someone has to settle on what kind of system we’re trying to build – and that provides the basis for the development of the U-space in the different countries. And my concern is that different nations are going to implement different technologies and with this comes a lot of fragmentation. What’s the Swiss view of integrating UTM and ATM? At the moment the two worlds are separate from a system point of view but they are fused from a functional point of view. So there is some sort of an ATM to UTM gateway being created in the middle, that will allow safe and secure communication between the two systems. I think that at the moment that bridge exists and use of the bridge is a matter of user requirements. So from the ATM side, I’m sure if the ATM system is interested in data coming from the UTM they can just pull this data out of the system through this bridge, and vice versa. I would say the more we use this, the more we get familiar with it, the more the regulatory framework will allow that because we tend to forget that to integrate something in ATM is not an easy task. The more we can develop in that direction, the more I think we will see the two fusing together. It’s something that will naturally happen. 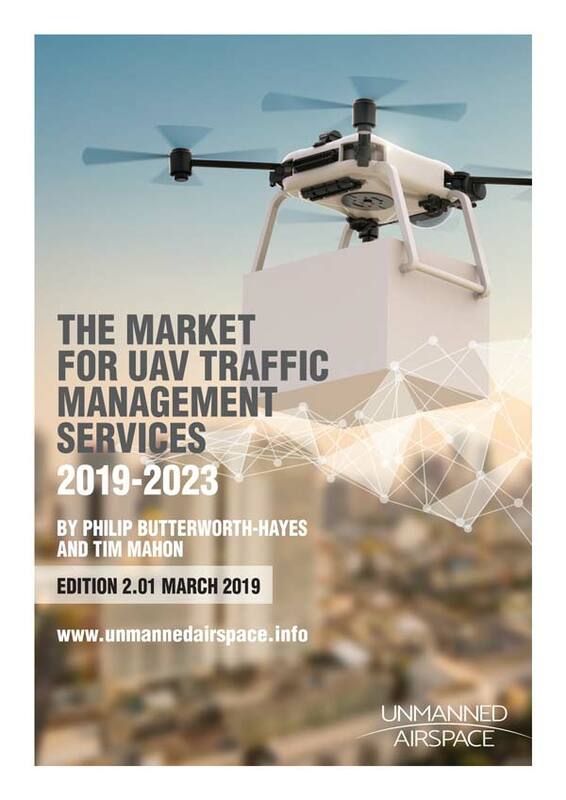 How do we set about making sure that every stakeholder’s view is properly represented, especially integrating the urban drone traffic management into the national system? That’s for sure a challenge. In Switzerland we see airspace as a national asset and it is managed from a national point of view. But locally you have a lot of requirements for privacy and security that need to be taken into account. So our approach is to say whatever UTM system will be used, the local communities must play a role in it. From a technical point of view it means they need to have a dashboard to be able to do something with the system. What and how are matters for the regulatory framework, so we need to understand how far their powers go, what they are allowed to do and in what circumstances – you don’t want to end up in a situation where you are excluded from airspace because of this local need. So there is a need to balance legitimate local requirements with the need not to fragment the airspace. And I think actually the UTM can be a key player in that. Is that relationship – between the various stakeholders – now fully understood? How do we introduce UTM to smaller cities? There are already a lot of interest groups created by the local police, emergency services and so on, with whom we are in contact. Now, how do we further push these kind of things for example within the UTM – again, it is really a matter of the law so we will have to find a system that will simplify their life: what does the system have to provide to them? What will be the level of safety, security and so on? This is what we’re working on. And it is true that there is a tremendous amount of work left to be done to make sure that all these local communities have a full role to play in this field. Has anybody assessed the business case for the UTM service providers? How many service providers are there going to be in Switzerland? This is another area of uncertainty. Our way of thinking at the moment is to look at the US approach and NASA’s UTM concept. We think the national ANSP will have a central role in providing the flight information management system, communicating the status of the airspace situation to the UTM service providers and so on. But we are also thinking of having other, open market oriented UTM service suppliers empowered. We are in principle attempting to open up the market because we think it’s a good thing. But we are also monitoring whether that is sustainable or not and if not, what we need to do. We are asking skyguide and its UTM partner AirMap, to put together an infrastructure roadmap that a UTM service supplier can use to offer its services. We are starting to transition from this initial infrastructure building to more of an open-market effort. As a regulator you seem to be playing much more proactive role in promoting the industry than is usual within the aviation sector. Yes. That’s certainly true. How do you turn an authority into being an enabler for an industry? That’s why we created the innovation management office. But there are daily challenges, cultural challenges, structural challenges that really keep you busy because it is something new and very few people are used to that. But I think that’s where the race is on. Those who succeed will actually manage to bring their country forward, when it comes to innovation and new technology. Those who fail will be left behind and the country will pay the price for that. My main plea to everyone is for an increased level of cooperation and to be a little bit more courageous and forward-looking when it comes to these matters because we need to be careful not to be left behind. What do you think GUTMA’s role is in this process? I think this about sharing best practices, about informing everybody. GUTMA has a key role to play, especially where UTM is concerned, because it is a place where players that do not normally meet get to meet. It’s really a way to cross-pollinate different cultures, different entities. And at the same time it’s a good way for many people to form their own ideas on what makes sense and why. 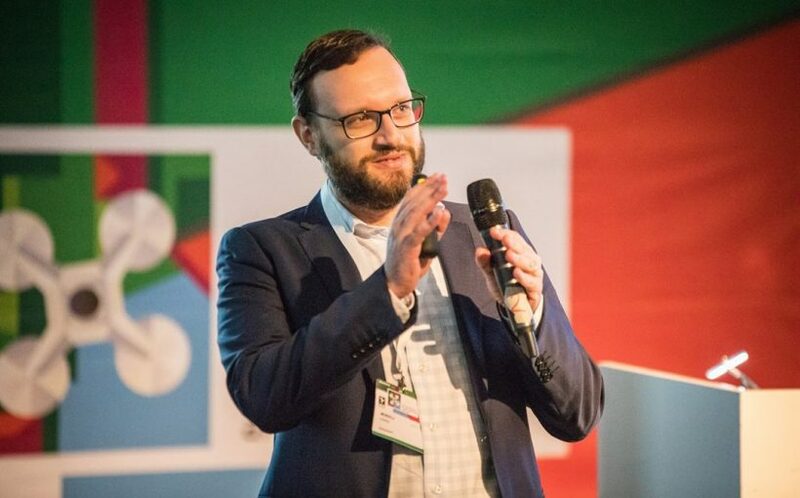 I think this year GUTMA made its latest general assembly a call for action – so we want to see more action out of GUTMA, more products, more results, to facilitate that. I’ve seen other initiatives going on like the one from the World Economic Forum “Drone Innovators Network” and through these networks I’ve seen developing countries like Rwanda and Tanzania doing incredible things with drones. And learning from their experience will move these things forward. Those who cooperate will win and those who don’t will lose. That’s the bottom line. The ‘certified’ category is a category of UA operation that, considering the risks involved, requires the certification of the UAS, a licensed remote pilot and an operator approved by the competent authority, in order to ensure an appropriate level of safety.